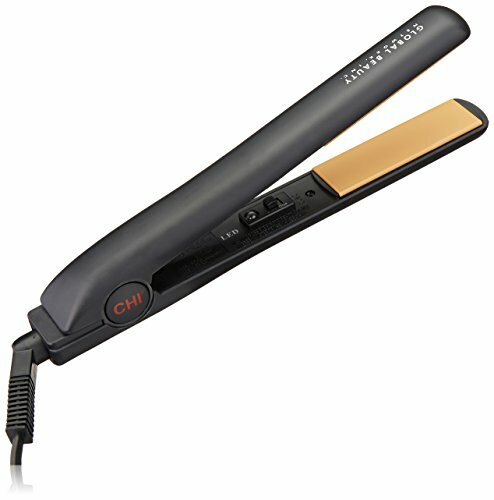 CHI flat irons are some of the best on the market. High-quality and affordable CHI flat irons are able to produce incredible finishes while providing versatile styling options. However, comparing the different varieties enables you to work out which is the best option for your hair type, your desired results, and your lifestyle needs. Check out these different products to see what they have to offer you and your hair styling needs. Choosing a flat iron can be tricky business. While they all seem to offer great advantages, it is important to compare their features with what you need as an individual. First, consider the material it is made with. Some flat irons are made with titanium blades and others with ceramic. If you have quite durable hair, titanium blades will give direct heat that will straighten your hair extremely quickly. However, if you have delicate hair, you will most likely need ceramic plates that provide the added protection and a more evenly-distributed heat. Likewise, consider the added extras. Plates that work with tourmaline technology will neutralize the positive ions with negative ones, smoothing your hair and locking in moisture. What’s more, some flat irons will offer blades infused with vitamins, minerals and oils to give extra moisture and prevent your hair from drying out. Are you considering curling your hair with your flat iron? You will need to look for a flat iron that has a curved edge to keep it from creating bends in the hair. Moreover, you will need a flat iron that has a rotating cord. Otherwise the cord will twist, making it more likely that it will fray. 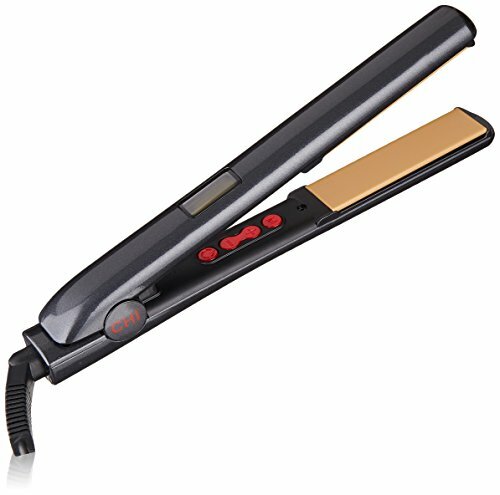 Try to find a flat iron that has variable temperature settings. Not only will the low temperatures be more suitable for fine and damaged hair, these lower temperatures can give softer curls if you use it for curling. Additionally, those with coarse or thick hair may benefit from flat irons that heat to high temperatures as this will work with the hair more quickly and give a much sleeker finish. Some flat irons also come with extra features such as automatic shut off. This extra feature can help to prevent some disastrous scenarios if accidentally left on. 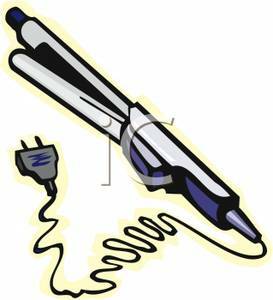 Additionally, if you travel often you will want to look for a flat iron that has dual voltage so it can be used abroad. A travel case to protect it is also helpful. CHI is a company that really excels in the haircare field. All their tools, especially their flat irons, deliver excellent results. But what is it about CHI that makes them so good? For one, they provide tools that are cutting edge in the market. 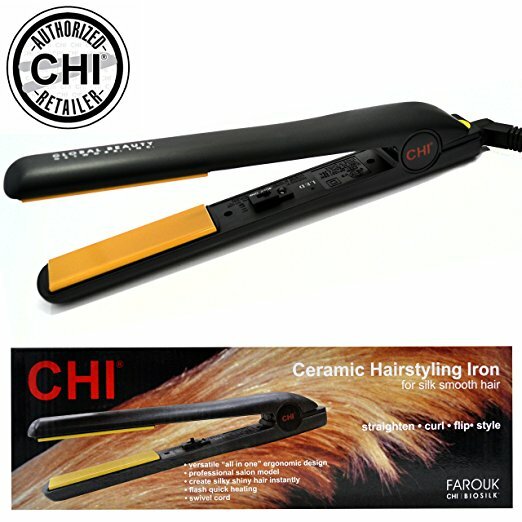 The technology in CHI flat irons is always innovative. From ceramic blades to ionic technology, CHI always provides the newest technology available. This helps give the best results. Secondly, CHI provides high-quality products. The materials are always durable, meaning that the tools tend to last longer than cheaper versions on the market. Moreover, they consider all areas of user experience and factor this in when designing their tools. As an example, you won’t find the plastic housing of a CHI tool overheating and burning your hand. On this note, CHI considers the whole user experience from beginning to end. Their products often come with added accessories such a heat gloves and protection cases to make sure that the user gets an all-round good feel for the product. Most importantly, their products always deliver. They give sleek looks without damaging the hair and are affordable for the average person. While other products make promises they can’t fulfill, CHI products always do exactly what they say on the tin, and it is difficult to find a buyer with a negative experience of their product not performing. While we don’t usually dedicate a whole article to a brand, we really feel that CHI stands out from the crowd and we want to iterate that to our readers so that you can look for the best products you can get your hands on. 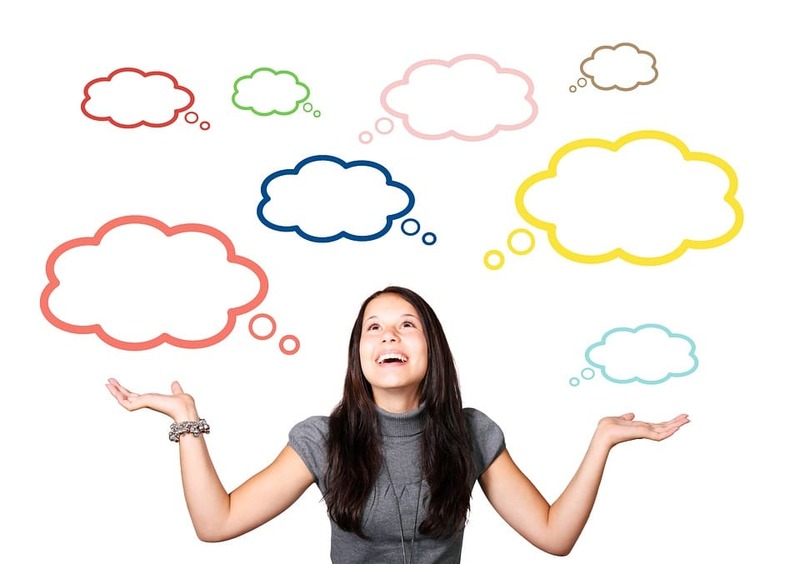 When we look to bring our readers the best products on the market, we try to consider the all-round user experience. 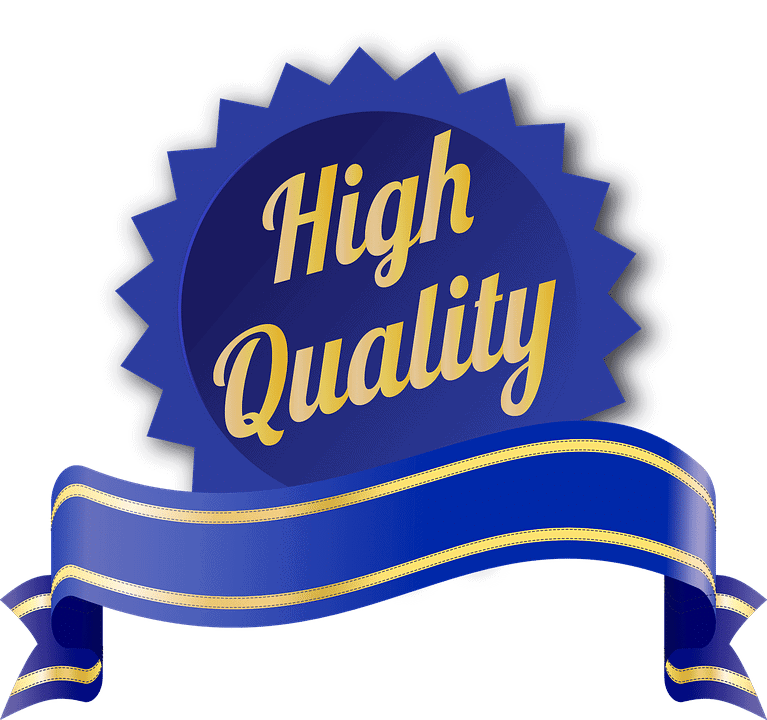 Firstly, we consider the quality of the product. For us, it is important that a product doesn’t come up short on materials. While some flat irons use cheap metal blades and thin plastic casing which burn the hair and hands, we try to find products that are worth their salt. We are looking for high-quality, durable materials that increase longevity and show value for money while giving great user satisfaction. Secondly, we try to consider pricing. If a product is extremely highly priced, it means that the average person can’t afford it. While salon users may need these extremely expensive products, the average home user is searching for something that delivers high-have quality experience in their price range. We also consider what else the product has to offer. Does it come with a carry case? Is it good for traveling? Does it have added protection infused into the blades? Does it come with a heat glove? We’re looking for products that go the extra mile to give you end to end satisfaction while styling your hair. 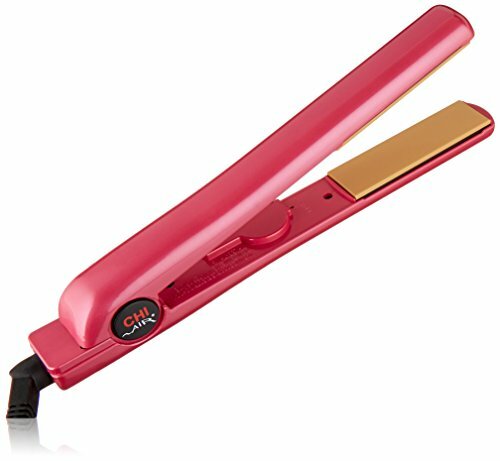 Below are our top picks of CHI flat irons that we feel provide the best experience every time. With titanium infused ceramic blades, this CHI flat iron combines protection with durability. The titanium infused into the ceramic means that these blades are more durable than soft ceramic blades. Variable heat settings enable you to use it on different hair types and for different styling techniques. It comes with a handy carry case to protect it. The titanium provides high direct heat which may damage very fine or brittle hair. This product doesn’t have an automatic shut off, which can be a fire risk if you forget to turn it off. This model is a little on the expensive side for those on a budget but is well worth the investment for excellent results every time. "It does last the whole day - I was really impressed!" This CHI Original 1” flat iron features 100% ceramic blades, infused with silk for a sleek finish. The silk protein infusion locks in moisture and conditions the hair for a silkier finish. The rounded barrel gives a smooth finish when being used to curl. It heats up quickly and works at a high temperature of 392F, making it a great option for people with thicker hair. 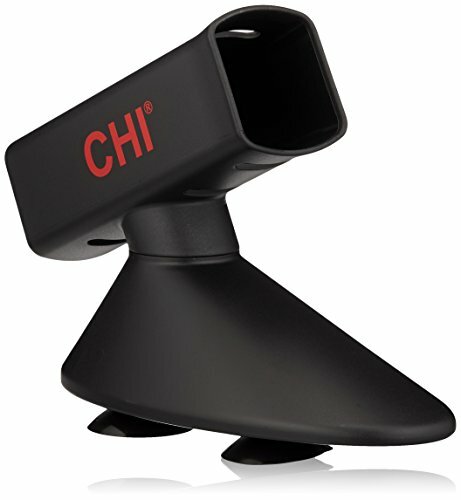 This is one of the more affordably-priced CHI models. There is only one heat option, meaning that this is not a good choice for people with thin or damaged hair, and cannot be used for the same versatility in styling. "The health of your hair and the fantastic result, I'll definitely splurged on tools like these!" A mini straightener, this tiny model is a powerful tool that’s great to travel with. Unlike most mini flat irons, this comes with a temperature control dial reaching highs of 450F, meaning you can adjust the temperature depending on hair type and styling requirements. The blades are ceramic infused with tourmaline technology, providing even heat distribution and locking in moisture to prevent flash burn causing brittle and damaged hair. Its small size makes it the perfect companion for those with short hair, as it can easily be used to both curl and straighten shorter locks. The housing on this model heats up a little more than other models but isn’t a problem if you are careful. It doesn’t come with added accessories. "My hair isn't frizzy or poofy. 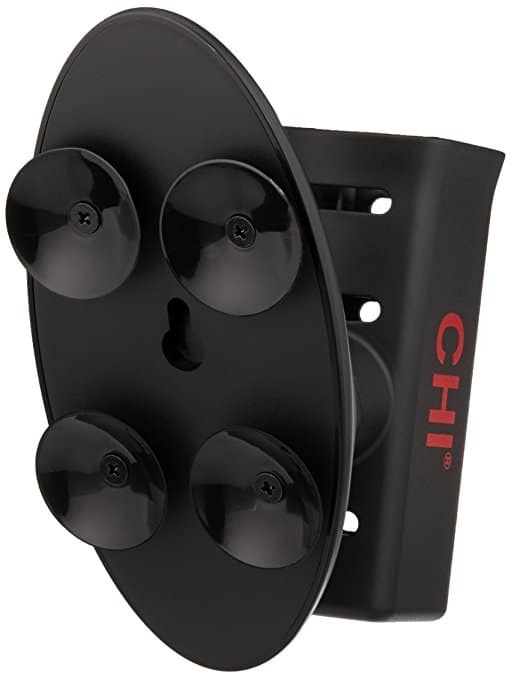 I would recommend it"
If you are a person that likes to use their flat iron every day and often finds themselves in a hurry or struggling to handle it while styling, CHI offers an excellent product to help manage this. The CHI Flat Iron Stand is designed to be the extra helping hand when you’re styling and a place to let your flat iron to cool down after use. A sturdy model, this stand comes with suckers on the bottoms to stop is falling off the side while you’re styling your hair. This also means you can attach it to vertical surfaces as well as horizontal ones. If you have a model that doesn’t have automatic shut off, this stand will protect from fire risk by providing the heat-proof casing. Some customers have complained that it doesn’t suction very well to certain smooth surfaces. CHI is a reliable brand that offers great results every time. While they are a little more highly-priced than other models on the market, CHI flat irons are durable, long-lasting, and provide exactly the finish that they boast about. With great reviews, these flat irons are an excellent investment. Just make sure to pick the model that suits your hair.